A few days ago one of my favourite people asked me to be her son’s godmother. Our friends are at the age where baby monitors often provide the background noise to dinner parties and apartments are rented with school districts in mind. 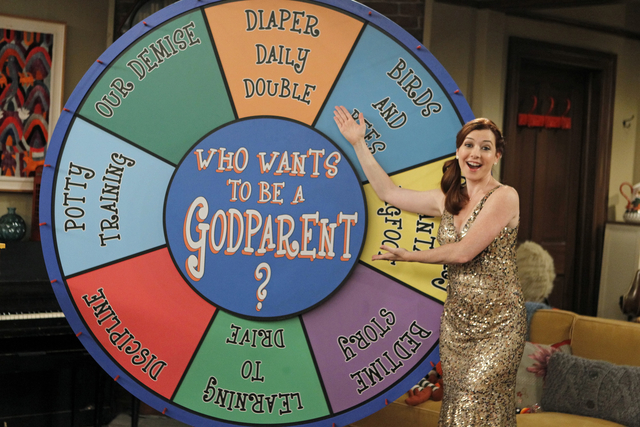 And yet, somehow, the concept of godparenting had never crossed my mind. It was an enormous honor that I had never expected. I said yes, quickly and fervently. And then I spent hours learning about what I had just accepted, about the expectations and guidelines for godparents. I’m not an atheist but I’d be hard-pressed to call myself deeply religious. If I was supposed to serve as a spiritual guarantor for the little guy I wasn’t sure what kind of spirituality I was guaranteeing. And yet the idea of being such a big part of my friend’s family, and playing a role in her son’s life, had enormous appeal. So I started to look for secular inspiration. From folklore to pop culture, there were Cinderella-style fairy godmothers who saw inherent charms in their charges and gun wielding Godfathers who embodied protection. From my own life, I was lucky enough to have two godparents and one godfather. My parents enlisted friends from different parts of their lives and divvied up the duties – one godmother taught me how to laugh through struggles, another taught me the importance of loyalty and my godfather taught me to live by my own rules. We have spent Christmases and birthdays and New Year’s Eves together. I’ve seen them dance and cry. I’ve always felt like they were part of my family. Yet they aren’t parental. That’s not the role that anyone expects of them. Rather they offer a unique, familial friendship. And that’s something I think I can offer to my friend’s son. I may not always be in the same country as him. I may not be able to give him large gifts of money. I may still be working out all the questions he wants answers to. But I know how to be a good friend. So the ground rules I’m setting for myself are to be the type of friend to him that I am to his mum. To make memories with him, to remember things that are important to him, to laugh with him and listen to him, to always watch out for him. This entry was posted in culture, gratitude, vulnerability by Katherine. Bookmark the permalink.